As a motivational speaker, I’ve met thousands of students across the country who want to attend college but have no idea how to pay for it. I’ve also met many parents who want to help their child with the college process but just don’t know where to begin. Have you felt like this before?College is just too expensive. It’s impossible to graduate without debt. Student loans are just a necessary evil for education. Finding and applying for scholarships is just too much work. Filling out the FAFSA is too complicated. The economy and job market are too uncertain to know if college is even worth it. 71% of college graduates last year had student loan debt. Don’t be like everyone else. Convinced? Jump straight to the packages. This is what most people say and believe. And to be honest, those people are almost correct. Is it really, really difficult to graduate without debt? Absolutely!But is it impossible? Of course not! I’ve met countless students who graduated debt free. They were no different than you. They weren’t valedictorian. They may not have been student body president. They didn’t have someone to just write a fat check to the college. They busted their butts to avoid loans and earn a debt free degree. They didn’t just get one massive scholarship. They didn’t have to work 80 hours a week while going to school. They didn’t know some secret you didn’t. They made a plan. And their plan wasn’t based off one source of financial aid. They earned scholarships. They worked a part-time job. They went to a lower cost school. They took classes at community college and transferred them. They lived at home to save money. They took AP classes and CLEP tests. It wasn’t one thing they did. It was a collection of actions and hard work that earned them that debt free degree. Finding scholarships can sometimes feel like a game of find-the-needle-in-the-haystack. Except there are thousands of other people looking for the needle as well. And there’s more than one haystack.It can definitely be discouraging. Part of you may feel like there’s hardly any scholarships you qualify for and part of you may feel like there’s way too many scholarships to know where to begin. Earning scholarships can be a bit of a numbers game. Simple math tells us that the more you apply for, the greater your chance are to earn some. But in addition to finding sources of scholarships (which we’ll teach you), there are steps you can take to make your application stand out from the crowd. We’ll help you develop a strategy and game plan to know where to look and know how to improve your application to increase your chances of earning scholarship money. You’re absolutely correct. It’s a lot easier to sign your name to some piece of paper that then gives you the funds to pay for college. But the problem is that doesn’t release you from the financial responsibility. Either now or later, colleges will get your money! And if you delay the inevitable, you’ll end up paying more for it down the road. Creating a game plan to pay for college now is really hard work. It’s not easy at all. I don’t want to mislead you to think that in anyway. That’s why most students just take the path of least resistance and accept loans. But it is possible to earn a debt free degree and avoid the pain of student loan debt. That would be nice if you knew that was guaranteed. But you don’t. None of us have any idea what the job market or economy will be like years from now when you graduate and start looking for a career. Let’s say you took out a sizable amount of student loans banking on landing a high-paying job at graduation. But what do you do if you graduate with all that debt and the high-paying job was no longer available? You can control how you pay for college today. You aren’t guaranteed anything in the job market tomorrow. simplify the process of paying for college. Say goodbye to feeling overwhelmed and confused. And say hello to having a plan you can confidently follow. The more strategies you know and apply, the easier it will be to avoid student loans. Learn from real students who graduated debt-free – without mom or dad writing a check! Eliminate excuses and know how to start creating a plan to pay for college. more about how to go to college for free! So who’s behind all this stuff? 89 pages of solid advice on scholarships, the FAFSA, comparing college costs and more strategies to earn a college degree without the debt. Figure up exactly what your education will cost and where that money is coming from. Keep on track with this tool to know exactly what you need to be working on at any given time leading up to your start of college. Learn everything you wanted to know about scholarships from one of the top experts. (Scholarship Committee Member) Find out the number one thing Hollee looks for when awarding scholarships to students. Learn why you should view applying for scholarships as your part time job. Learn what Justin sees as the main difference between students who need loans and those who do not. (Iowa State University Graduate) Graduated with no debt. Learn how he applied for 20 scholarships and got none of them but then was awarded a full-ride scholarship! was able to put in her savings account. Hear how one simple conversation with her family changed everything for how she was going to pay for college. Hear from this 30 year old college student about how she came back to school to complete her degree debt free. Learn exactly how the military helped pay for Chris’ education and what you need to know about this path. The interviews and additional resources are very useful, but don’t overlook the value of the book by itself. 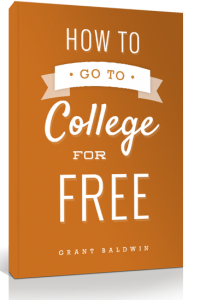 It is a guide you will regularly refer back to help create your game plan for paying for college. If budget is an issue, no problem. Definitely get the book by itself. You won’t regret it. you your money back – even if you love the guide. 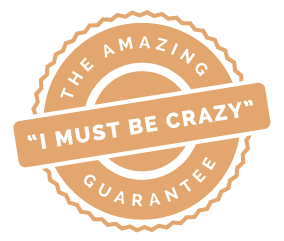 I believe that if you take action and actually do what this resource teaches, you’ll come out ahead. 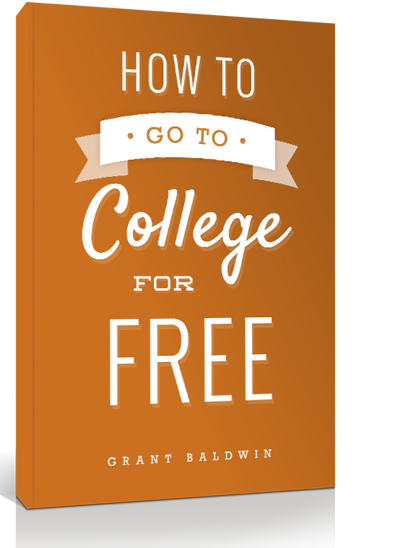 Obviously I think you’ll be able to earn a lot more than $2,500 for college, but I want to prove that this guide will provide more value than the money you pay for it. YES! I wouldn’t waste my time creating this or your time reading this if I didn’t think it was not only possible but very realistic. Make no mistake though…you can graduate from college debt free, but it will not be easy. I’m confident you’ll love the materials because they were created with you in mind. But if you don’t like the resources for whatever reason, just forward your receipt email within 90 days to grant@grantbaldwin.com, and we’ll issue you a refund. A big factor is obviously your budget. The complete package is designed to give you the most bang for your buck, but the book itself is still packed with lots of useful strategies and tactics that will help you. 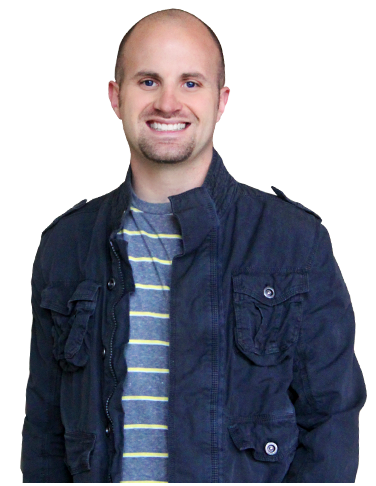 Check out www.GrantBaldwin.com to learn more about who I am and what I do. You can also find me on Twitter @grantbaldwin. If you still have questions, please email us at grant@grantbaldwin.com. If budget is an issue, no problem. Definitely get the book by itself. You won’t regret it.